Biggest year so far! I will admit, 2014 is missing a couple months of data and I need to go back and fix that, but it still would not be bigger than 2016. I am super proud of my year. I managed to meet all the goals I set for myself and did so without injury or breakdown! (Thanks Coach Jen). 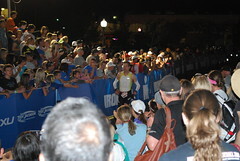 The biggest highlights of the year were qualifying for the Boston Marathon and completing Ironman Arizona under 11 hours. There were lots of other fun and great races as well as experiences but these two were very proud moments for me. I set a goal, I trained for it, and I achieved it! I have one big goal for 2017 and that is to get a spot to the 2018 Ironman World Championship in Kona. 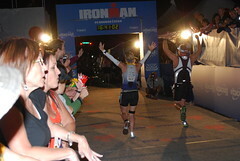 I am going to try at Ironman Wisconsin in September. I know hindsight is always 20/20 but after looking at my data from Ironman Arizona, I know I could have gone faster. While I did meet my goals for that race, I had more to give, especially on the bike. The focus this year will be finding my limits on the bike and training to increase them. I truly believe I have a shot but only with some more improvement on the bike while keeping my speed on the run. Thanks for following along in 2016 and I hope you continue to do so in 2017! You had a SUPER STELLAR year! Congratulations and cheers to 2017! !